Distance: approx 800m on gravel footpaths and a small section of closed road. This is a fun event. 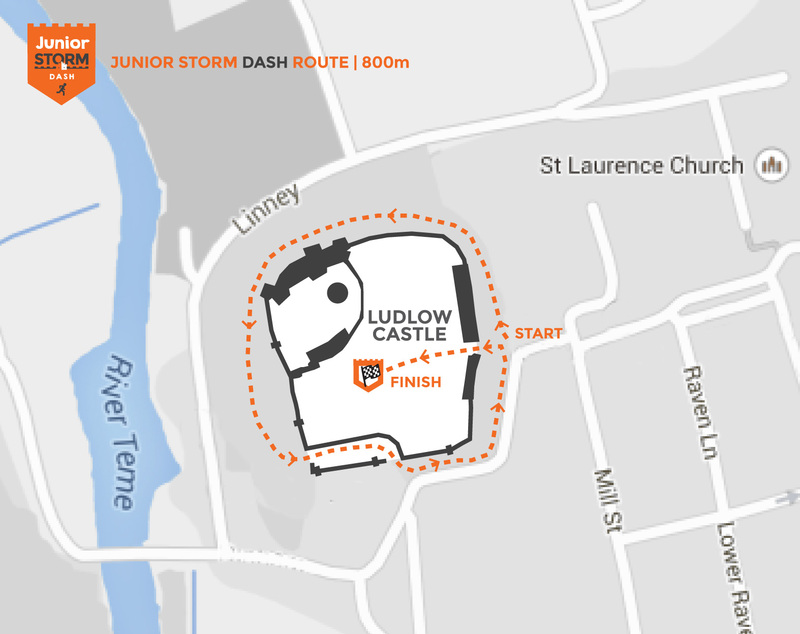 Description: A short race that begins outside the iconic Ludlow Castle grounds and then completes a circular route around the Castle walls. Following the path in an anti-clockwise direction, there are a few ups or downs on uneven paths. The route will be clearly marked with arrows and marshalls. The final 150 metres is on a closed road section, so it’s a chance to sprint towards the castle entrance and Storm The Castle! N.B. Children are allowed to be accompanied by parents/guardians for this race if the child or adult would like to do this together. We understand that leaving your child to run out of sight may cause concern and therefore please feel free to join them. Start Time: approx 12.00pm. This will depend on the number of adult runners still on the course. Entry Fee: This race is absolutely FREE.